A Miami-Dade judge has temporarily blocked Miami’s city government from going after thousands of Airbnb hosts accused of illegally renting their homes by the day and week. Prompted by a lawsuit filed last week by the popular home-sharing platform and five of its hosts, Judge Beatrice Butchko issued a temporary restraining order late Wednesday that bars Miami’s code compliance department from enforcing the city’s short-term rental ban in residential neighborhoods. Butchko, in issuing her order, ruled that the city was preempted by state law from enforcing its policy. The impact and scope of Butchko’s ruling was still being parsed Wednesday evening by Miami’s legal staff. But it appears her decision protects all Airbnb hosts throughout the city — plus anyone renting their homes by the day and week through other mediums — as attorneys for the company and the city litigate their case. That could easily take months. Mayor Tomás Regalado, who believes short-term rentals disrupt bedroom communities, said in an interview that the ruling will only end up harming homeowners forced to live next to illegal, de facto hotels. He also said Butchko’s ruling opens a Pandora’s box that raises questions about a municipality’s ability to pass its own zoning laws and begs for a higher court ruling. “If I get complaints, I’ll send them to Judge Butchko,” he said. Airbnb has been locked in a political struggle for months with the city and Regalado over a 2015 zoning opinion that deemed it illegal to rent properties in Miami’s residential neighborhoods for less than one month. The city, outside of Miami Beach, where short-term rentals are also prohibited in many neighborhoods, is probably the home-sharing platform’s most important market in Miami-Dade County. The dispute came to a head last month following a City Hall hearing about the city’s short-term rental ban, during which a number of Airbnb hosts gave their names and addresses and spoke in favor of the business. Afterward, Miami officials said the hosts were breaking the law and had outed themselves — prompting the lawsuit by Airbnb and its hosts. In their complaint, they argued that a 2011 state law preempting cities and counties from creating new regulations that further restrict vacation rentals after June of that year rendered the city’s zoning opinion void. They also said the city was violating their First Amendment rights in “persecuting” them after their comments at City Hall. 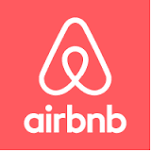 On Monday, Airbnb, represented by Berger Singerman, filed for a temporary injunction, prompting a round of subpoenas to Miami officials and Wednesday’s emergency evidentiary hearing. Following a nearly six-hour session, Butchko ruled in Airbnb’s favor. She also enjoined the city from requiring City Hall speakers to provide their names and addresses during future City Commission hearings — something that flummoxed city officials. We strongly believe in regulation on Short-term rentals to ensure the safety of the guests as well as the community. We are also believers in Zoning Regulations and making sure taxes are paid on the income received.